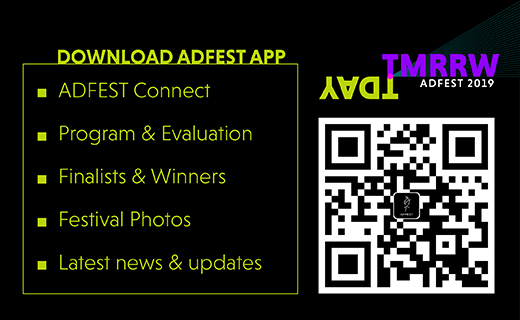 If you’re attending AdFest 2019 in Pattaya, Thailand this week, make sure you download the AdFest app, which features a useful networking tool, AdFest Connect, a live photo stream powered by VPhoto, plus AdFest’s new program evaluation feature – all in one app. Powered by VPhoto, the app will link to a live photo stream site so you can access the festival’s photos in real-time. You will need to turn the notifications on so as not to miss the latest updates, and you can now evaluate all the sessions and workshops you attend via the app. “We have added lots of functionality to our app this year. As always, you can access the festival program, view all speakers and juries, finalists and winners announcements, and read the latest news from AdFest – all at your finger tips. But we’ve also added live photo streaming – so even if you’re not in Pattaya, but want to be there in spirit, you can use the AdFest app to see what you’re missing,” says Kem Suraphongchai, Festival Director at AdFest. AdFest Connect – the festival’s exclusive networking tool – is accessible via the AdFest app, downloadable here. It is designed to help delegates forge connections before and during AdFest 2019, which runs from 20th to 23rd March at the Royal Cliff Hotels Group in Pattaya, Thailand. “We launched AdFest Connect in 2017, and due to popular demand, we have brought it back every year since. The tool makes it easy for people to make connections and set up meetings, coffee or drinks with potential collaborators. AdFest respects the privacy of its delegates, so emails will obviously not be made public unless you opt in and send messages to others. If another delegate contacts you, they will only see the email icon and your name when they send you messages, but never your email address until you reply to their email,” explains Jimmy Lam, President of AdFest. AdFest Connect allows you to search for other delegates by name, company, city or country and send them an email to see if they’d like to meet up. The tool is available to all registered delegates of AdFest 2019: your Username is simply your Delegate ID, which you’ll receive as part of your Delegate Confirmation, while your Password is your Last Name. If you have registered, but have not received your Delegate Confirmation, please contact: Noi@ADFEST.com. All confirmed delegates will be shown in the listing, however you can only send messages to delegates who have opted to join AdFest Connect. Simply login to AdFest Connect and join (or remove yourself) via the Profile & Setting page. AdFest 2019 runs from 20th – 23rd March at the Royal Cliff Hotels Group in Pattaya, Thailand with the theme “TMRRW.TDAY”. To book tickets or find out more about registration fees and packages, visit www.ADFEST.com.